Neatly designed rooms at a reasonable price tag. Hotel New Golden is located near Dev Samaj College, Sector 45, Chandigarh. 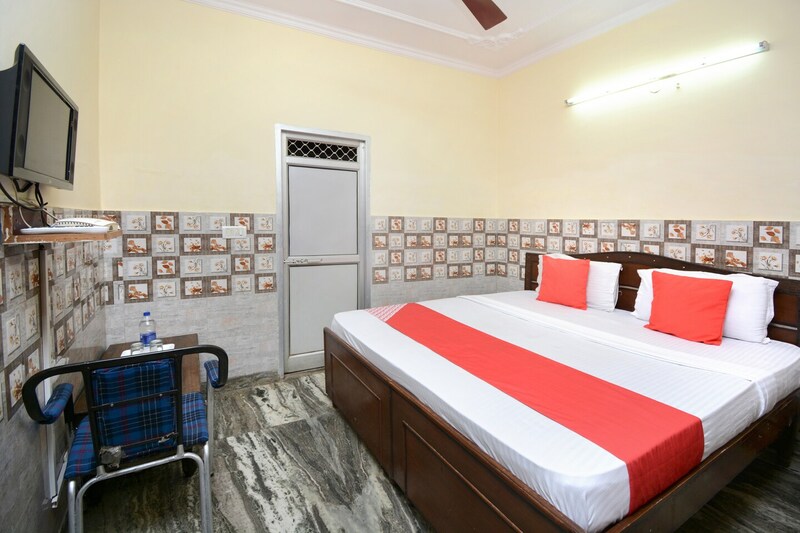 The hotel is surrounded by amazing parks and monuments like Open Hand Monument, Terrace Garden, Butterfly Park, Cactus Garden and Hibiscus Garden. The walls of the rooms are partly lined using designer tiles which makes the interiors look appealing. The washrooms also feature designer tiles all over making them look neat and tidy. Additionally, the rooms feature al the essential furnishings required for a comfortable stay. Several amenities that the hotel offers include free Wi-Fi, king sized bed, power backup, TV, card payment, and CCTV cameras.